I really really like fonts! I like fonts so much that I have actually spent money buying fonts. What are fonts? Fonts are the styled characters that are typed out when you type on your computer keyboard. (This one is Georgia). Fonts come in many many different styles and types and they are great to have if you do scrapbooking or design work, especially graphic design or web design. They are also great for those who just like to be creative with fonts on their posters, cards, etc. There are some really great websites where you can download fonts. Many of these websites will even offer free font downloads. Be sure to read the license of use for each font you download. You can find tons of font places from Pinterest. I have a Pinterest board where I have saved some of my favorite font blog posts that lead to font websites where you can download some too. Here is my Pinterest board for fonts. Follow Debbie's board Fond of Fonts on Pinterest. Find the downloaded file and click on it twice. Your new font is installed and ready to use. 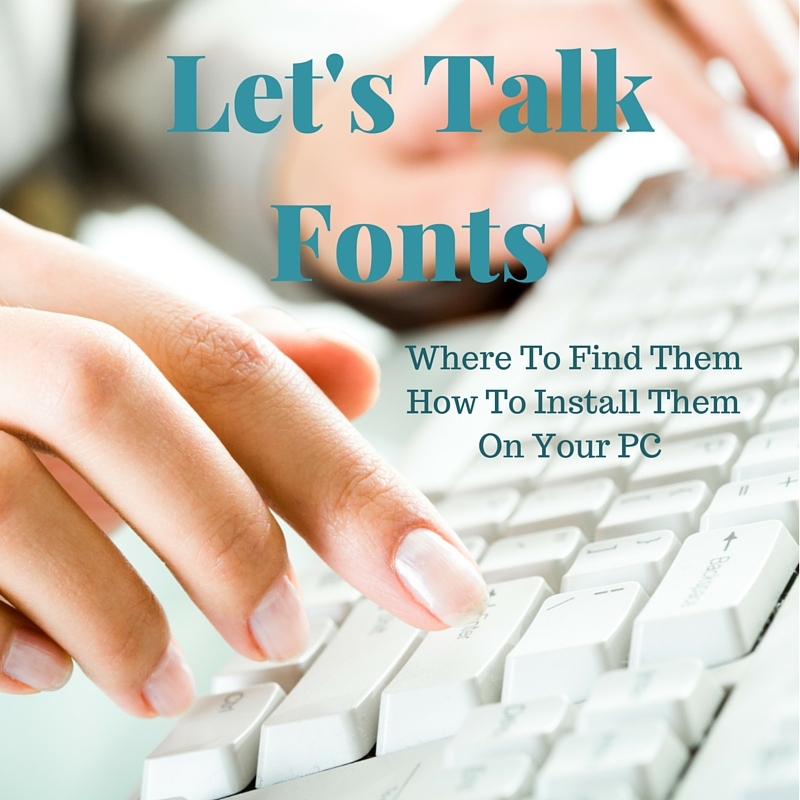 Come back next Thursday and learn how to create your very own font and install it on your PC (Trust me it's super easy! ).